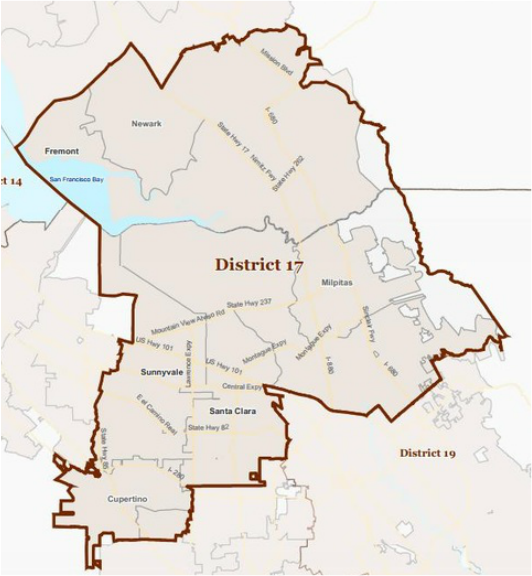 Democrat Mike Honda currently represents Congressional District 17. Honda is expected to win re-election in 2016. Mike’s district includes Silicon Valley, the birthplace of technology innovation and now the country’s leading developer of green technology. Mike has dedicated his life to public service and is lauded for his work on education, civil rights, national service, immigration, transportation, the environment, and high-tech issues. Serving as a California State Assemblymember, Santa Clara County Board Supervisor, San Jose Planning Commissioner, San Jose Unified School Board Member, Peace Corps Volunteer in El Salvador, and with over 30 years in education as a teacher, principal and school board member, Mike’s commitment to serving the people of California’s 17th district is unwavering and unparalleled.